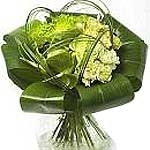 A bouquet of flowers is the perfect way to liven up a room or let someone know that you were thinking of them. We create a huge range of standard and bespoke bouquets at our Hertfordshire shop – just give us a call and let us know what you’d like us to put together. Flowers are subject to the weather and time of year, which is why we unwittingly associate certain types with particular seasons. Talk to us about what’s available and the type of bouquet you’d like – we can put together bunches based on fragrance and textures as well as colour and size. If you’re celebrating a birthday, anniversary, graduation, or any other event, you may have further specifications. 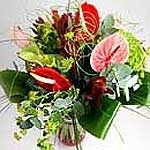 Take a look at our gift flowers [link] for inspiration or just give us a call to let us know what you’re looking for. We’ll work around your timescale and your budgets to make sure that your loved one knows just how much you care. 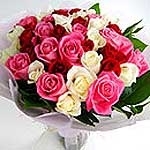 If you just love having fresh flowers at home, why not talk to us about regular bouquets? We can create weekly or monthly bouquets for your home in or around Hertfordshire so you can enjoy seasonal flowers all through the year. We have a number of flower galleries on the site for inspiration and to give you an idea of what we can do. If you can’t fine exactly what you need, just let us know –we’re always delighted to make custom bouquets. 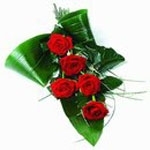 Our Flower Delivery service is available within 12 mile radius of Cuffley Herts area.